eCite - Dr Pugh: a poisoner? 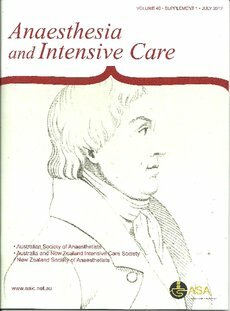 Copyright 2012 Australian Society of Anaesthetists. On 16 February 1845 the Reverend W. H. Browne, rector of St John's Church in Launceston, Van Diemen's Land, wrote in his journal, "My dear Wife died very suddenly almost immediately after and in consequence of taking a preparation of Hyd. Cyan. Acid prepared & supplied by Dr Pugh"1. This journal entry raises a number of questions. Was Dr Pugh treating a condition which he thought merited that treatment or was it a ghastly mistake? Was Caroline Browne suffering from pulmonary tuberculosis? Was hydrocyanic acid an accepted treatment at that time? Did Mrs Browne take the wrong dose? Was an incorrect concentration of the drug prepared by Dr Pugh? Did he use the wrong pharmacopoeia in preparing the hydrocyanic acid? Why was there no inquest? Only some of these questions can be answered.